Don't be shy, Marla. Take off your shoes and join me! Hello! This is my contribution to Take a Word which theme this week is BEACH. 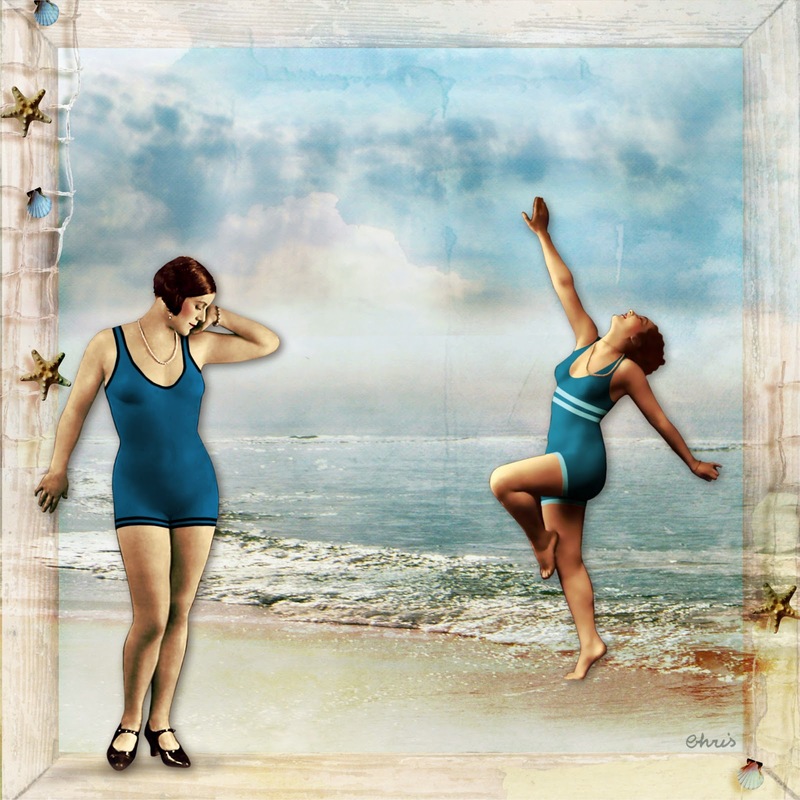 Background, frame and elements: Beth Rimmer; girls: E-Vint (I cut out them, colored and designed their bathing suits - thanks Marie for the tip). Such a fun image - I love it!! The sky and sea and wonderfully and subtly framed, and the characters are so well staged. Happy days at the beach, Christine, superb entry! This is so fresh and cool. I can feel wind on my face.... a beautiful artwork, Chris. I was going to say "such a feeling of joy", and I read Deann's comment above to see she said nearly the same thing! Obviously you captured the feeling of joy, for sure!! Beautiful work, Chris! Oh wow, just look at the joy of movement in this, Chris, I love it, and I'm seriously impressed AND jealous at the wonderful job you've made on the 'painted' bathers'. A standing O from Yorkshire. What a fun take on the theme. I love the name you have chosen as well: Marla!